The ESP8266-based Adafruit Feather Huzzah is a great way to connect your embedded project to the internet. 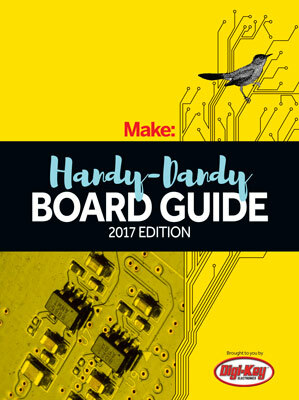 The Huzzah comes preinstalled with the NodeMCU Lua environment, but Adafruit provides both board specification and libraries that make it easy to use with the Arduino IDE. The board is part of the Adafruit Feather lineup, so you can expand the basic board with “Wings” for LEDs, displays, relays, and motor control. The popularity of the ESP8266 has meant a lot of code is available to extend its functionality including running MicroPython, and even a way to emulate a WeMo home automation device, which means controlling your board from your Amazon Echo.